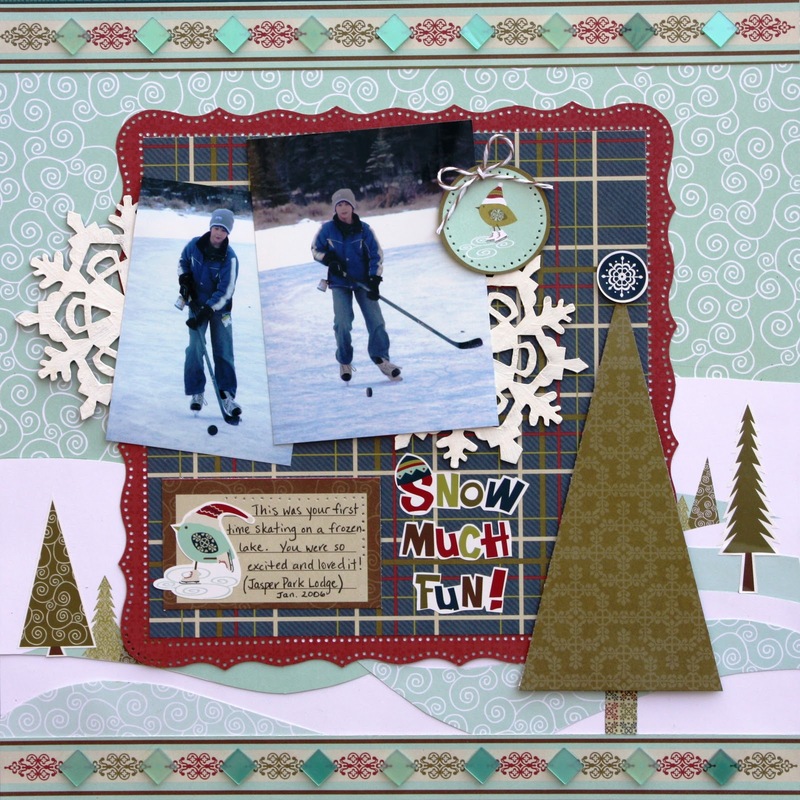 And I haven’t posted my Canadian Scrapbooker December Sketchy Challenge layout yet…oops! The photos are BoyGenius skating for the first time on an outdoor lake at Jasper Park Lodge. 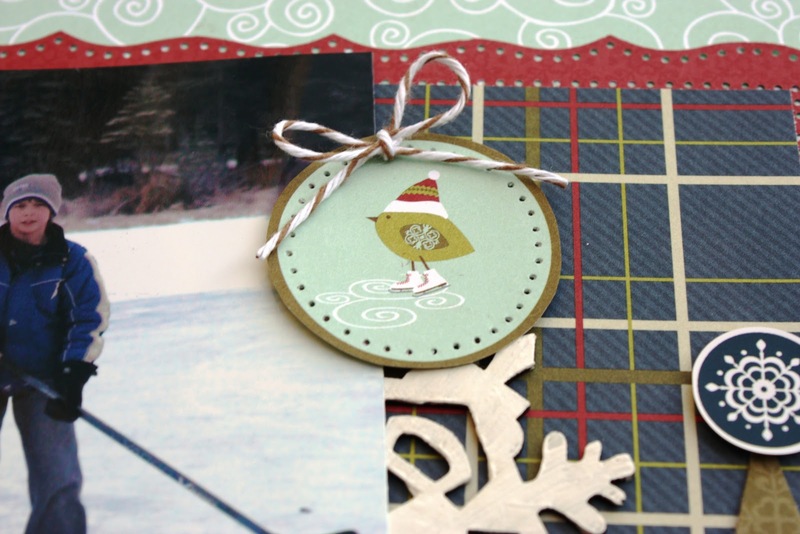 Those wonderful large white snowflakes are Ezee Pzee chipboard elements that I painted white….love their chipboard designs! I added Harmonie tile mosaics to the top and bottom borders for some dimension. 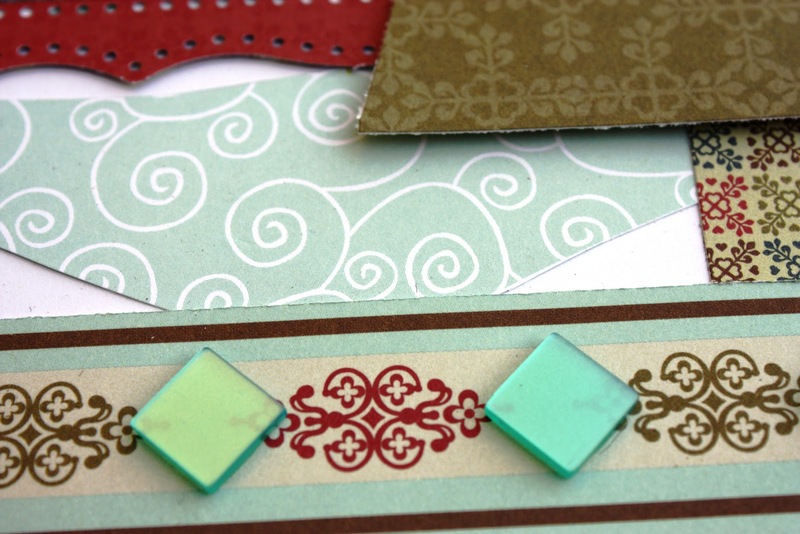 This collection comes with a super cute sticker sheet and journaling spots…. I did some paper piercing along the journalling spot and the round tag to coordinate with my Martha Stewart round the page border punch…. If you have a moment, check out all the amazing offers and Giveaways over at Canadian Scrapbooker. They are doing a daily Giveaway “16 Days of Sharing” AND a “Webisode 24” prize of a Sony Digital Frame/Printer! PLUS…there are weekly prizes offered for “Why Not Win Wednesdays”!! 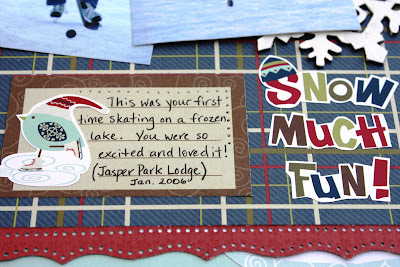 Yep, Canadian Scrapbooker has the Christmas Spirit! Find them on Facebook too! Awesome Winter LO! I like your take on the sketch! I’m like you…hate the weather, but like the pages! LOL! This is beautiful, Kelly. I really like Tada Studios but their stuff is hard to find. Love the snowflakes. Never heard of that company. Will have to go give them a peek. Great pics. I love your style. Your LOw is so so very pretty my friend!!! This is just too cute Kelly. Love the paper line and all your goodies! Your layouts are a treat to look at. I love when you called your son “boy genius”, that’s our nickname for our son too. Your borders and wavy designs are very nice. 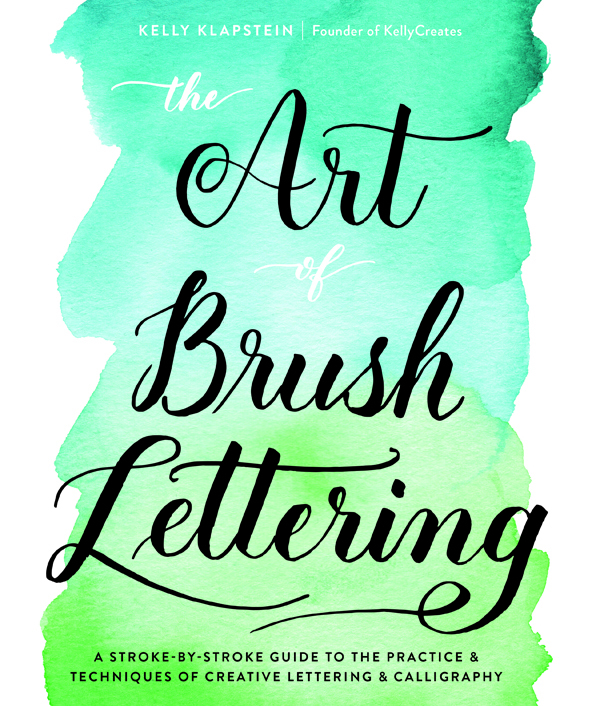 Love the title! Stay warm!